Already active but fancy trying something a bit different? Need to improve your posture? Want to strengthen your core? Looking to change your body and get stronger and leaner? Require a low impact workout? Ready to bring out your inner dancer? 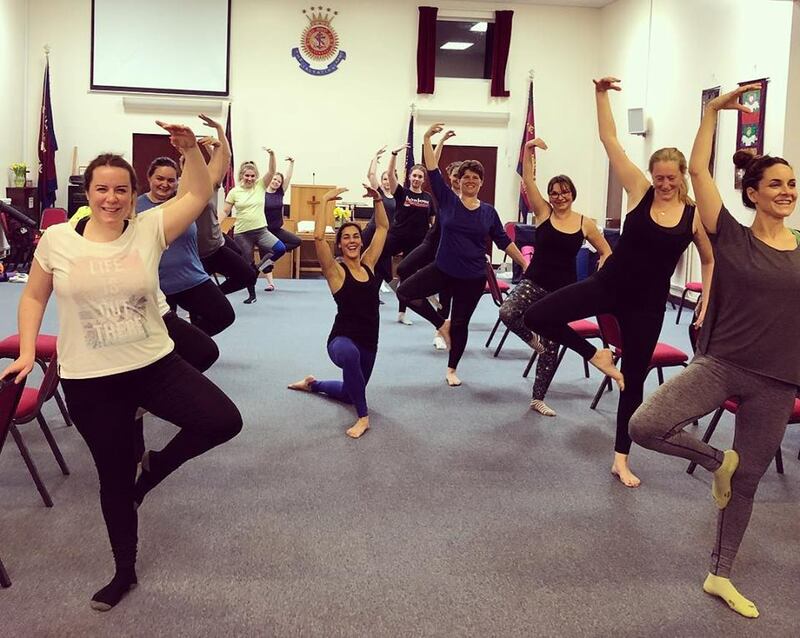 Our Barre sessions are fun, group classes open to all women. We focus on posture and strengthening the core. Barre is a whole body workout, set to music. It's not a dance class, so absolutely no ballet experience is required. Other equipment such as resistance bands might be used, alongside the barre (or chairs). Barre is often described as a fusion of ballet, pilates, and conditioning. It is low impact, but a great way to raise the heart rate, as well as improving posture, bone density, and flexibility. Routine warm up to mobilise the feet and body. Main workout at the barre comprising arm work, plies, battements, jetés – and more! Don’t worry if you don’t have a clue what these terms mean; we break everything down and learn as we go along. Sometimes we use resistance bands to work a little harder. Conditioning: We head to the floor to work on some smaller movements and focus on core strengthening. We slow things right down and end with a lovely relaxing stretch. There is limited parking at the Salvation Army, but plenty of free parking on the nearby roads. Includes 50 minute class, and ongoing support via private Facebook group (including bonus workouts). You can join at any time, however class does tend to get full, so advanced booking is advised. Just your normal workout gear. You need to be able to move freely, so lycra is best. We exercise barefoot (or in socks) so footwear not needed. Water to drink and an exercise mat if you have one. Absolutely! All abilities are welcome to class. Barre is perfect for those who are new to exercise, as well as providing a new challenge to those who are used to working out. It’s also ideal for peri- and menopausal women, as barre is low impact and therefore respectful of “mid-life” bone and pelvic health. 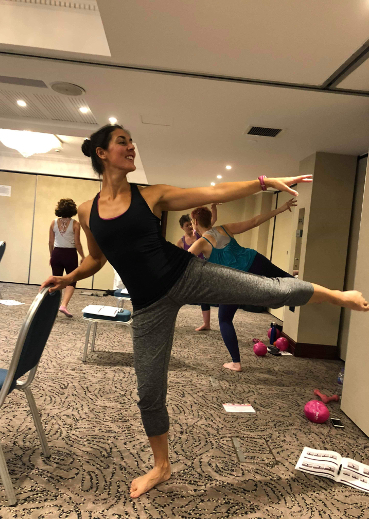 I offered a taster session when the class first started and filmed a full workout which is available to view within my Lovefit Barre Belles facebook group. So if you are unsure, please request access to the group and have a go at full 50 minute class video. There are a variety of packages to suit different needs, and I’m confident you’ll find one to suit you. Do take a look at our testimonials to see what other ladies have said about Lovefit Barre. I wanted to offer various packages to suit different budgets and requirements. Please note, the monthly (unlimited) memberships only make sense if you intend to do Barre alongside at least one WOW class a week. If you are new to Lovefit, the FLEXI (3-class) pack is a great way to get a feel for what we’re all about. If you can usually only attend one class per week then the 10-class pack is your best bet. If you’re aiming to couple Barre with WOW, even if that means you might only make 5-6 classes a month, then the 6 month direct debit offers the best value for money. All class bookings and memberships are now managed via our online system HERE. If you are new to Lovefit, or haven’t attended recently, you’ll need to create an account, and answer some health screening questions before you can make a purchase. You can then set up a recurring monthly payment for ease, or can buy class packs if that’s your preference. Once you have chosen your membership you simply book into the classes you wish to attend. Barre and WOW can be used interchangeably on any of the “Beyond” memberships.